If you live in Salt Lake City, you’re no stranger to the new home of clean waste management and sustainability. The roads are lined with bike-share stations, in an effort to clean the air. There are recycling bins around every corner, in an attempt to reduce the city’s waste. Farmer’s markets and local shopping centers have erupted in popularity, reducing the need to transport goods and damage the environment. Mayor Biskupski has made it extremely clear that she’s dedicated to turning Salt Lake into the home of all things green. In fact, this year the city council passed an ordinance that aims at cutting energy costs, improving the air quality in the valley and reducing our carbon footprint as a capital city. For those who follow politics, this ordinance is no surprise. In fact, the goal has been in the works for years now—and as we all know winter turns us into “Smog Lake City,” it’s a very necessary one. The objective isn’t only aimed at reducing the poor air quality, but it is also making Salt Lake run off 100 percent clean energy by 2032, cutting down on our fossil fuel consumption. When it comes to building efficient office spaces and apartment complexes, why should you be concerned? Your tiny home has a blue recycling bin—isn’t that enough? While the plan’s main focus is the waste management of larger corporations, with everyone’s help our hometown can achieve climate positive goals that keep our state a beautiful place for generations to come (Isn’t that what everybody wants?). Our humble city boasts a total of 3,000 government employees who work hard for us each day. These folks have signed internal policies to improve the rate of waste in their offices. This is a promise to aim for sustainability by shifting their daily bad habits into better ones and ultimately improve the future of our home between the mountains. What does this mean for their offices? For the coffee drinkers, there will no longer be Styrofoam cups in the break room. The employees will be expected to bring washable, reusable utensils and dishes from home. When printing something, they are now vowing to do so double sided with .75-inch margins. Each part of their day will carry a reminder that waste should be considered the absolute final option, because no one wants to clog up our landfills. However, our government employers won’t stop there. With dream of keeping Utah looking beautiful for future generations, business owners now need access to both recycling and compost bins. This allows employees to reduce their waste outside of their homes. When we’ve limited ourselves to the old methods we grew up in—the days when recycling was an anomaly—change can be hard. Taking the time to decide where your to-go container should rest is something you never wanted to worry about, and why should you? How is this your problem? But you have children, neighbors and friends to look out for. The future is green, and in Salt Lake City, we all need to do our part to keep it that way. 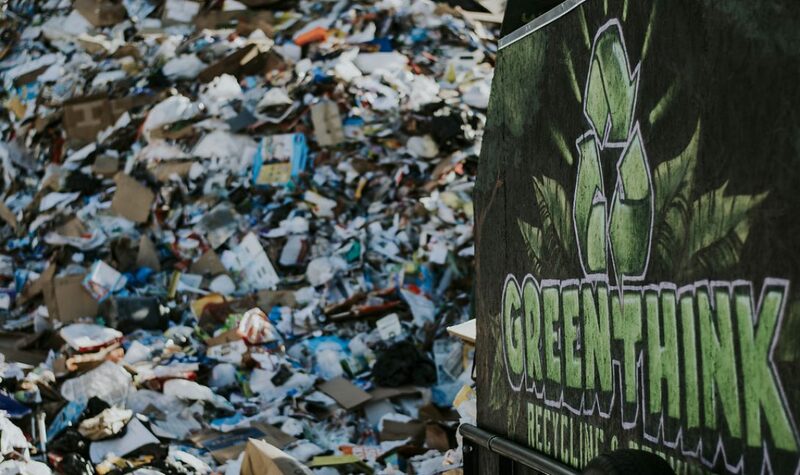 If you know a business owner or an apartment complex without proper recycling services, contact us for your free consultation. We’ll give you an idea of what sustainability really takes, with variable prices, pick up dates and even door-to-door valet service.